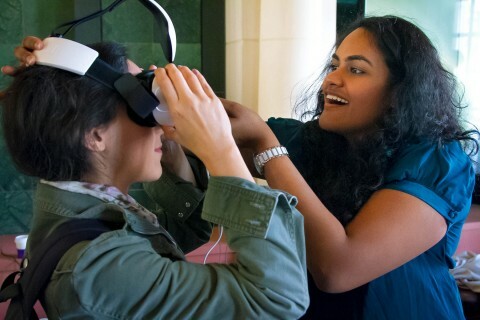 The USC Norris Comprehensive Cancer Center has teamed with a nonprofit on a virtual reality initiative for patients in the Adolescent and Young Adult Cancer program at USC (AYA@USC). The initiative aims to provide a library of curated cinematic and interactive VR experiences using the most advanced media technology available to lessen a patient’s discomfort and anxiety with quality entertainment. The pilot program will begin this fall for a three-month period for both ambulatory outpatients and non-ambulatory inpatients. The nonprofit Springbok Cares will provide the VR equipment, content library and program staff at no cost to USC Norris cancer center or the patients. The cancer center’s clinical staff will approve and supervise the use of the equipment to ensure patient safety. Through Springbok Cares’ partnerships with a variety of content providers and sponsors, the program will be financially self-sustaining with an ever-growing curated library. 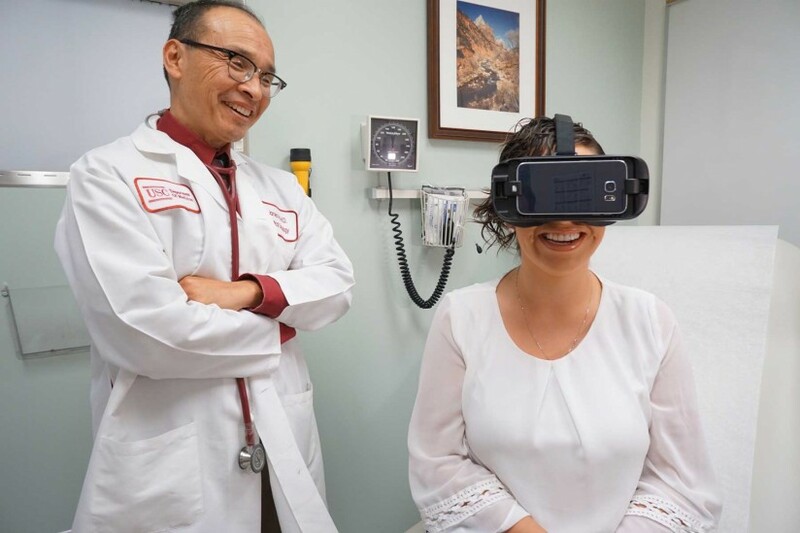 “In addition to an enriched patient experience, the Virtual Reality Patient Initiative may provide tangible clinical benefits to our young cancer patients,” said James Hu, assistant professor of medicine at the Keck School of Medicine and co-director of AYA@USC. Research has demonstrated the benefit of VR technology for a variety of medical, psychological and educational challenges, including reducing side effects and fatigue in cancer patients undergoing chemotherapy treatments. Cancer patients with access to VR experiences had improved emotional well-being and fewer negative psychological symptoms. AYA cancers represent all cancer types in individuals who are between 15 and 39 years old. In the United States, cancer is the leading disease-related cause of death for AYA patients. More than 70,000 people in this age group are diagnosed with cancer each year, including more than 4,000 in the Los Angeles area. 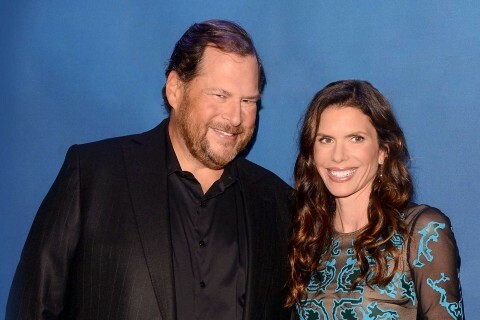 The gift benefits the Lawrence J. Ellison Institute for Transformative Medicine of USC, a new center in Los Angeles. 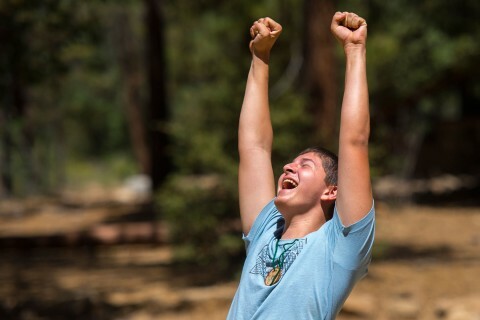 At Camp Kesem, USC students are the organizers, the counselors and even the fundraisers. 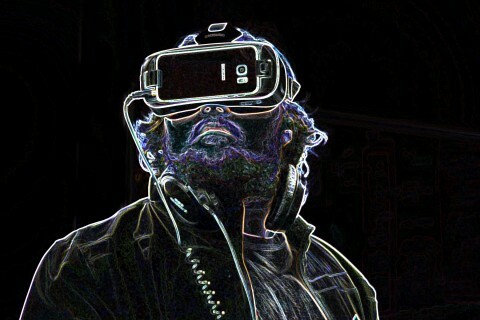 From improving memory to designing cities, one of the first student VR clubs in the nation stretches the limits of the movement.